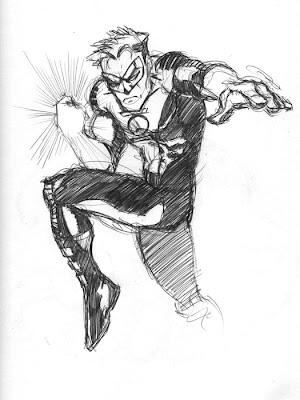 Kyle Raynor was the character who got me into checking out the GL's. He was the only GL who was an artist and that spoke to me. He was insecure and not always sure about what he was doing, but he was a hero nonetheless. Over the years he's really grown and been given opportunities to wield crazy amounts of power, but he always knew what to do with it. The Torch bearer, they call him. If not for him the GL corp would have never returned. This guy is my favorite GL and although he's gone through some major changes and tragdies, he still manages to come through. 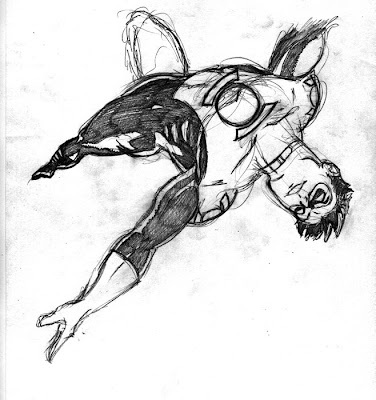 With Hal Jordan's return their was a fear they'd kill him off, but they didn't (thank God). So here's to Kyle.